If you are looking for a step-by-step guide for revitalizing your marriage, this book is not for you. If you are looking for a "how to" book, then this book is not for you. What this book is, however, is a Christ-centered in-depth look at your life and marriage in light of the gospel. 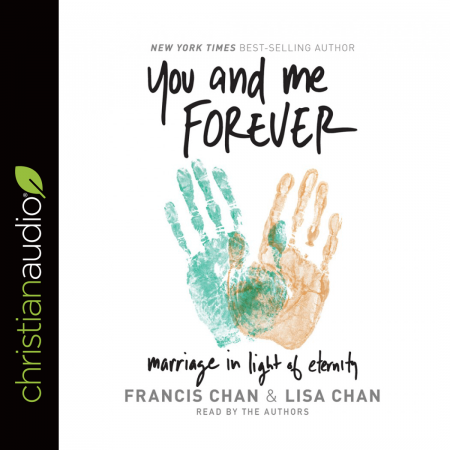 This book written and narrated by Francis and Lisa Chan, is a biblically based book that emphasizes the importance of first having a relationship with Christ. Only after that relationship is solidified can your marriage have any hope of being a lasting relationship. Our first priority in life should be to look like Christ so it stands to reason that we should in turn love like Christ. The Chans offer real world examples of what it means to love like Christ in your marriage and with your children. (There is even a chapter on parenting.) At the end of each chapter there are "Do Something" sections, where we, the listeners (readers) are encouraged to act out the Biblical truths we have just digested. The point being that reading the book and gaining the knowledge is useless unless we are putting this newly gain insight into practice in our every day life. I thoroughly enjoyed this book. It was challenging and encouraging in my walk with Christ, my marriage and also in my parenting. I listened to this myself, but I strongly encourage couples to listen to (read) this book as a couple and to honestly and prayerfully go through the "Do Something" sections together as I plan on doing with my husband. And though this is a "marriage" book, I would recommend this book to everyone who wants to strengthen their relationship with Christ and their relationships with others. I enjoyed the audio of this book and like that Francis and Lisa Chan read the sections they wrote themselves. You can sense their heart is really in these words they have written as they are reading them. * I would like thank christianaudio Reviewer's Program for the audio version of this book in exchange for my honest review.